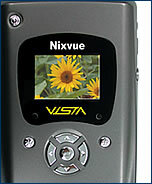 Nixvue’s Vista is a portable gallery for digital images, capable of storing a considerable amount of data while also usable for slide shows. The color LCD display means that viewing can be enjoyed without attaching the unit to a TV or DVD player. 5 GB model available for CZK 15,000, 30 GB for CZK 21,800. 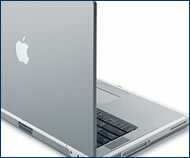 Apple’s latest notebook, the Titanium Powerbook G4, operates at blistering speeds (up to 800 MHz) while maintaining a typically stylish Mac exterior design. Heavy digital and music files become infinitely more manageable, and the attached DVD/CD-RW drive allows for easy burning of CDs and editing of movies. Available for 99,000 CZK. 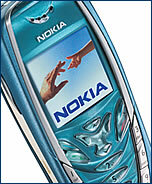 Nokia’s freshest batch of mobile phones feature a range of applications (games, filing tools, etc) downloadable via Java. The 7210 is the urban cool variation, featuring MMS (Multimedia messaging), GPRS, hi-res color display and polyphonic ring tones. Price yet to be determined. Portable computing takes a step further in the direction of casual comfort with Fossil’s new Wrist PDA/PC. Featuring 190 KB of memory and an 8-bit processor, it’s a convenient way to stay organized (and to not lose your PDA by leaving it behind in a meeting room). 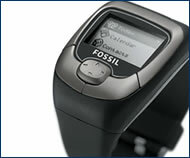 Available at www.fossil.com, it retails for CZK 4,830. 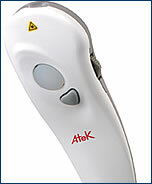 Atek’s Tote-remote is a wireless way to conduct presentations via computer. With a range of up to nine meters, it utilizes radio waves to eliminate the line-of-sight needed for infrared remote control. For use with Power Point or Word, it’s compatible with most PC and Mac operating systems. CZK 2,700.